Memphis Light, Gas and Water's Customer Care Center is open Monday through Friday to assist you with questions about billing, transferring/disconnecting services, or anything else relating to MLGW's services. Many requests, such as bill inquiries and requests for extensions, can be handled virtually 24 hours a day, thanks to the Customer Care Center's call automation system. 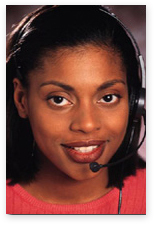 To reach a Customer Care Center representative, please call between 7:00 a.m. to 7:00 p.m., Monday through Friday.